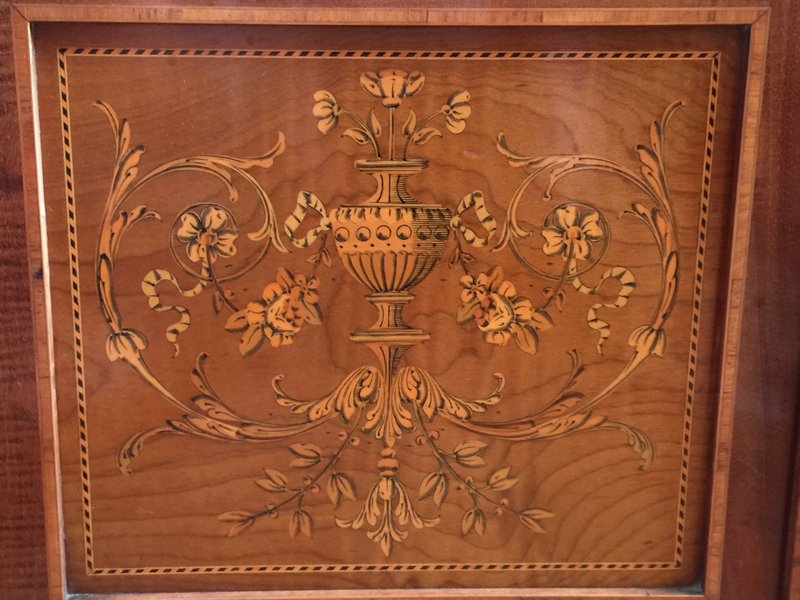 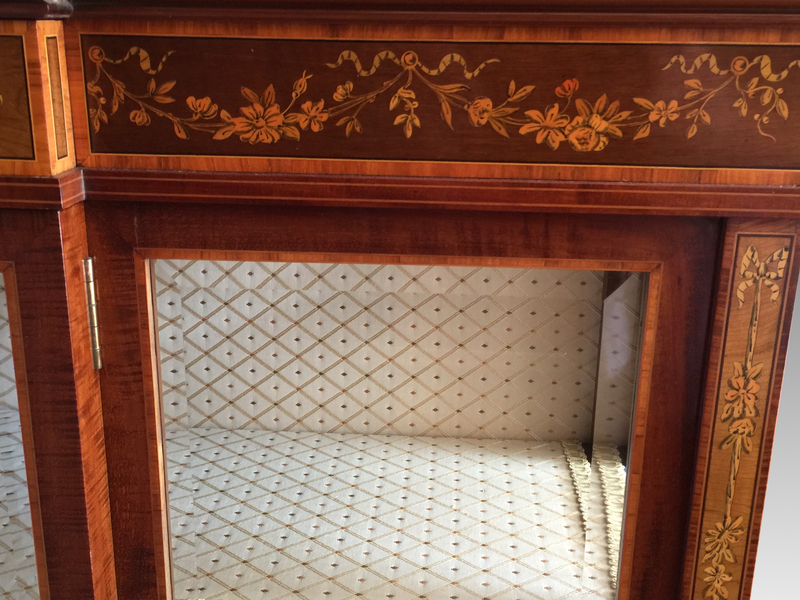 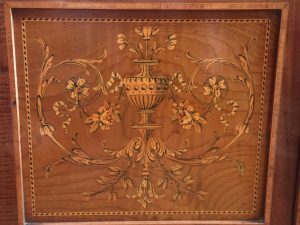 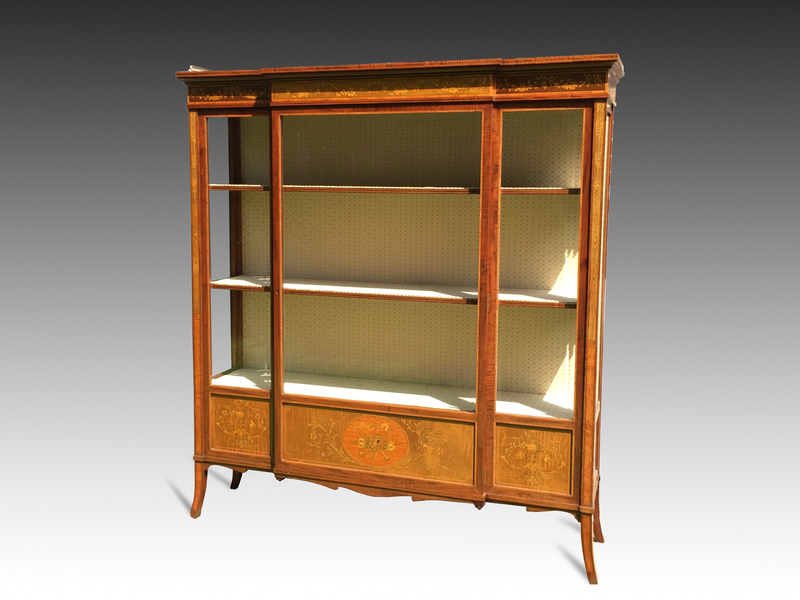 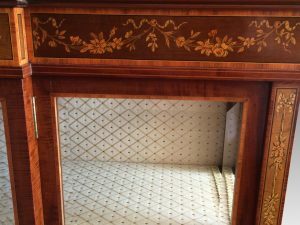 A late Victorian, figured mahogany and satinwood banded marquetry inlaid display cabinet. 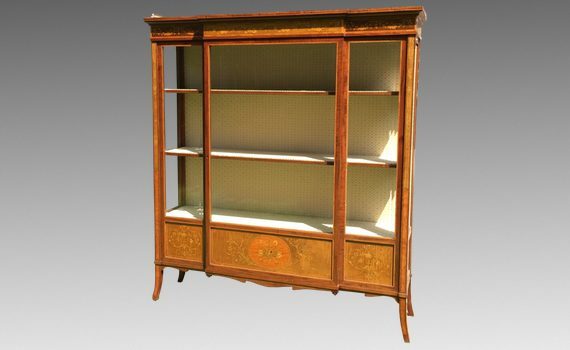 The rectangular breakfront top with original pierced brass gallery, above a slim frieze with concealed mahogany lined drawer, the bevelled glazed door below enclosing a relined shelved interior and flanked by further bevelled glazed panels and sides. 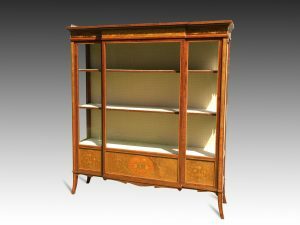 The base with a cupboard, and standing on four slender splay legs. 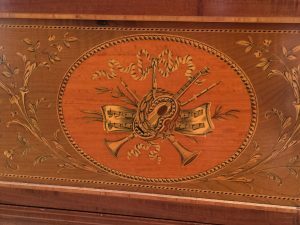 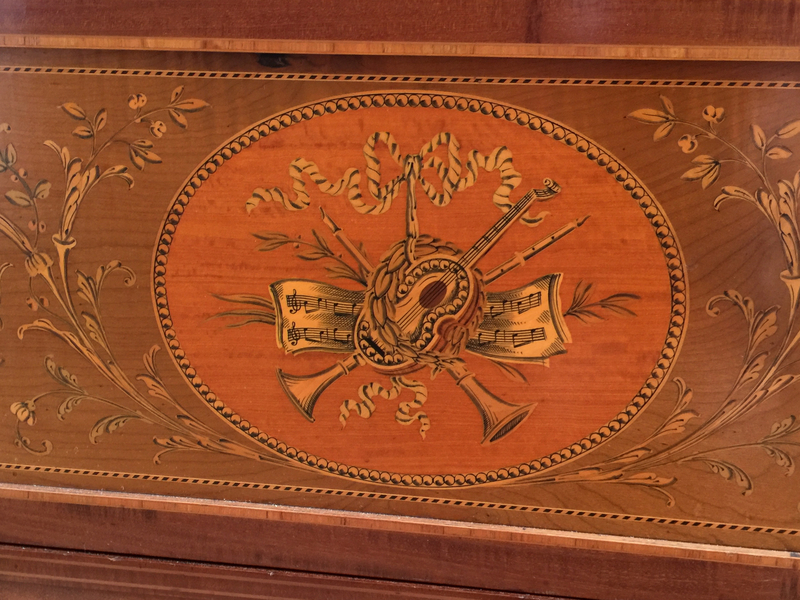 Inlaid with scrolling flowers and musical trophies of a fine quality.